4 leaf clovers, green hills and ginger haired leprechauns grace the reels of the Irish slots themed casino games. From lucky Irish games featuring rocking leprechauns to pots of gold and rainbows, these slots are all bright, colourful and promise the chance at some golden wins. Welcome to the Emerald Isle, where Leprechauns and Shamrock slot games rule the roost and you’ll want to get a little luck of the Irish whilst playing casino. Aaah Ireland… The land of saints and scholars, Yeats, Oscar Wilde, The Poggs, Bono and… Leprechauns. So many Leprechauns. Because let’s be honest; we don’t play Irish slots because of the rich history and the Nobel literate. We play because we hope a little bit of that Irish luck will come our way, whether your grandfather was called O’Sullivan, MacMahon or something totally different. There’s something about those rolling green hills and a spec of Celtic slot magic that fires the imagination and makes you dream of pots of gold at the end of the rainbow. And that’s why we’ve created this comprehensive list of mobiles slots with Irish themes. What are leprechaun slots and why are they so popular? When talking about Irish slot themes, you are really talking about those red-bearded mischievous sprites. The culprit is easy: it’s the original Rainbow Riches slot, which became a world wide sensation with players and other software game vendors have been trying to duplicate that success ever since. A bit how Book of Ra influenced all the Egyptian style slots. But maybe there’s more to it that just one lucky slot game. Maybe it’s got to do with the fact that of all the Irish fairy folk, the Leprechaun is the one most associated with gold and mischief. After all, who doesn’t dream of finding a pot of gold at the end of the rainbow? And who better to show you the way than the creature who put the gold there in the first place? With bright colours, a sense of playfulness, and twinkle in the eye, mobile slots with Leprechauns have a charm that is hard to resist. What is the best Rainbow Riches slots? We can’t mention Leprechaun casino games without going into more details about the most famous Barcrest slot games that live in real brick and mortar casinos around the world, but especially at UK casinos. Rainbow Riches is not a complicated game, it doesn’t even have any free spins. You have wilds, stacked symbols and three different types of click me bonus games. And that’s enough. The best Rainbow Riches slot is the original. Full stop. But since then, Barcrest have managed to create a whole brand around their green Leprechaun and we don’t see them stopping any time soon. Many of them are big bet Irish slots, which we are not a fan of. They tend to be for people who like to place bets of around 6 to 10 in cash per spin. But if you have the cash, here’s the list. There are many more, so if this leprechaun floats your boat, then go ahead and play. If you can’t play on Scientific Games or Barcrest slots then Lucky Leprechaun by Microgaming or Leprechaun Hills by Quickspin are good alternatives. Despite what this list of Emerald Isle slots might have you believe, Ireland isn’t all about the fairy folk. In fact plenty of games focus on the prettier aspect of this Gaelic country, with beautiful Celtic crosses, harps, green-eyed red-headed beauties, and shamrocks littering the reels. That last one has to be the second most popular Eire slot theme as the four leaf clovers brings about hope of good luck. And god knows that when you play slots online, you need all the luck you can get. Finally this theme wouldn’t be complete if we wouldn’t mention one of the thing Ireland is so well known about; that dark brew that is Guinness. Whether represented as dark ale, where there’s a Gaelic slot, there’s a pint and pub not far away, maybe with a little Irish cream or whisky not far away. After all, you have to have something to play come St Patricks Day. Maybe because of Rainbow Riches, but there simply isn’t very many 3 reel slots about Ireland. Most will have 5 reels, which generally means wilds, scatters, multiple paylines, and (usually) free spins and bonus games. However, unlike other themes, it can be hard to generalise about what you can get here. Mostly, if we are honest, because the theme is popular enough, and generic enough, that you can pretty much do anything you want with it. Want to create a 5×5 grid that swirls around when you get a win? Finn and the Swirly Spin slot is your guy! Want a simple 20 payline slot with free spins and a 3x multiplier? Irish Eyes 2 will captivate you. Most of these Irish online slots will have some form of free spins, or at least a couple of interesting slot bonus features to make you open the game. Low variance, volatile slots, 243 ways to wins slots… you name it, you probably have a version of it set somewhere on this Island off the Atlantic coast. 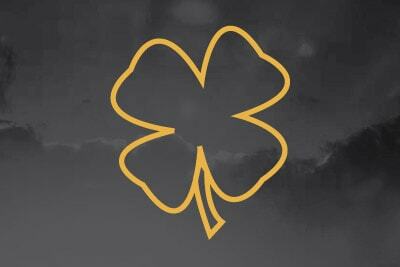 Can you hit the luck of the Irish with jackpot slots? Progressive jackpot slots with an Irish theme are few and far between. The most famous is IGT’s MegaJackpots Isle O’ Plenty slot game, mostly because it’s part of a bigger MegaJackpots slots games. These all have one big progressive top prize that is shared amongst all the games, and can hit on any of them as well. The good news is that it makes that pooled pot of money grow quickly, the bad news is that there’s a lot of competition to trigger those Megajackpots. The Cleopatra jackpot or Siberian Storm jackpot slots are probably more played, and famous, than Isle O’ Plenty, but if you want the chance to win somewhere between half a million to a million, whilst staying true to your Éireann roots, then this is the one. Now, just because most game software providers stick to Guiness, clovers and rainbows, doesn’t mean a couple of haven’t tried to be original. Whilst it’s true that almost everyone of the big game studios will have created slots about Ireland or Leprechauns, some do it with a little more flair than others. Here’s a couple that caught our eye, and you should too if you love something a little different. Play’n GO are not the type to go generic if they can help it. And so, they decided to take the most iconic fairy from Roisin Dubh, and send him travelling. The first is Leprechaun Goes Egypt. Either way, it’s a brilliant little game that brings you a flavour of Ireland and the middle east that you will literally find no where else. Personally we prefer the Leprechaun Goes to Hell slot, as we find out titular character under the influence of a particularly beautiful she-demon, and why not? With a local progressive jackpot on top, it won’t make you a millionaire, but you might end up escaping hell with some heavenly wins. Did you know that Ireland has won the Eurovision song contest a record 7 times? Nor did we until we researched it. Yggdrasil Gaming and IGT certainly knew that there was more to these Celt than Irish jigs and River Dance because they created a fun twist on the Leprechaun mobile slots by adding some rocking tunes. The Rainbow Ryan slot gives you 6 reels and 4096 ways to win, with the main character giving slash a run for his money in coolness. Meanwhile the Shamrockers Eire To Rock slot gives you one high paying stacked symbol on each spin, 20 paylines and some rocking free spins, where one good ‘encore’ could you see showered in gold. Both can be found at the one of a kind Casumo casino who promise you’ll have a craic of a time with these one of kind Irish themed casino games.